I can think of few things more terrifying to an astronaut on the ISS than being awakened by blaring klaxons in the dead of night. That happened this weekend. The culprit was a malfunctioning cooling pump. 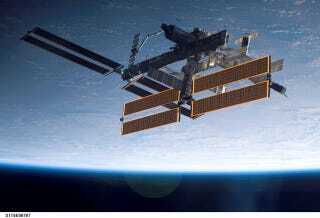 While the effects were wide-ranging (two of the station's gyroscopes had to be shut down, as well as "several other systems"), NASA said the crew was not in danger. There are two replacement pumps on board for just this kind of situation, and astronaut Tracey Caldwell Dyson is presently working to replace the malfunctioning pump with one of them.